My little boy had a melt down last night while watching Dinotopia before bed (he was tired and hot). The reason why. He wanted a pet baby dinosaur. He really couldn’t understand why he couldn’t have a pet dinosaur. But I calmly explained to him that all the dinosaurs died a long time ago when a meteor hit the earth. But it also got me thinking. What would do I wish I could have even though they aren’t real. So here is my top 5 list. A Dinosaur. I have to agree with my son on this. It would be pretty cool. 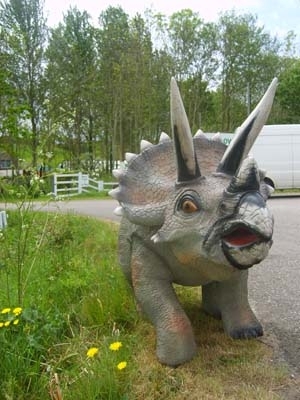 I would like a Triceratops. They are herbivores but I can tell you no one would want to mess with me if I had one of these! A superhero boyfriend. How awesome would that be?!? I guess there would be a downside though of getting kidnapped every other week by whichever bad guy was after him at that time. A Stargate. How cool would it be to be able to travel to different planets that were similar. There would be so much to learn about older civilisations and the future. Not to mentions aliens! Fairies. No other words needed. Hover-board. I mean come on. Who wouldn’t want a hover-board or ever a hover car. So what would you like to have that doesn’t exist?